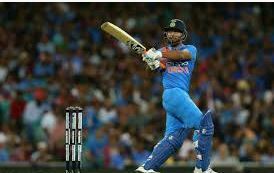 STORY: Indian opening batsmen Shikhar Dhawan on Tuesday (February 06) said that he would approach the three-match T20 series against New Zealand with aggression. Dhawan was speaking at a news conference post training session ahead of the first Twenty20 match in Wellington as India look to build on their 4-1 triumph in the 50-over format. The southpaw scored two fifties in the first two matches but was troubled by swing in the remaining three matches and was dismissed for paltry scores of 28, 13 and 6. Meanwhile, New Zealand skipper Kane Williamson said the T20 series would help the hosts prepare better for the upcoming World Cup and understand their opponents better. India will head home and host Australia for two T20s and five ODIs while New Zealand will welcome Bangladesh for three T20s, ODIs and tests before the World Cup.